Explore relationships between unusual FA structures and plants that produce them. FA analysis for > 7000 plants. 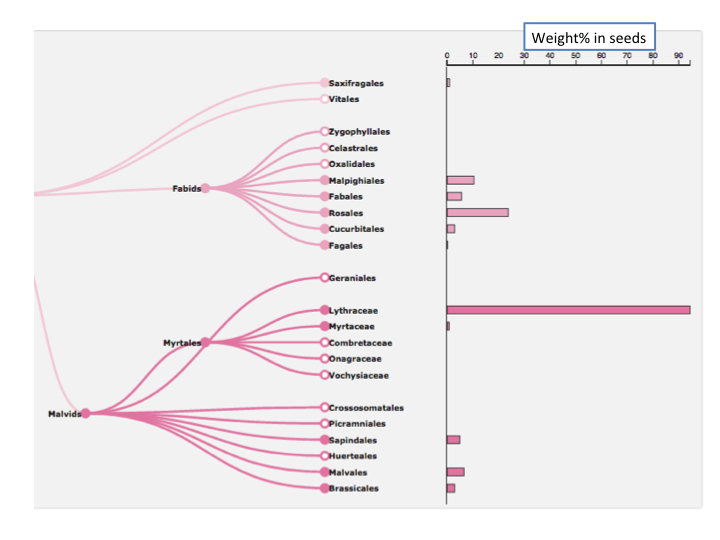 Click on species for graphs of FA composition, oil content, and links to publications and individual data sets. 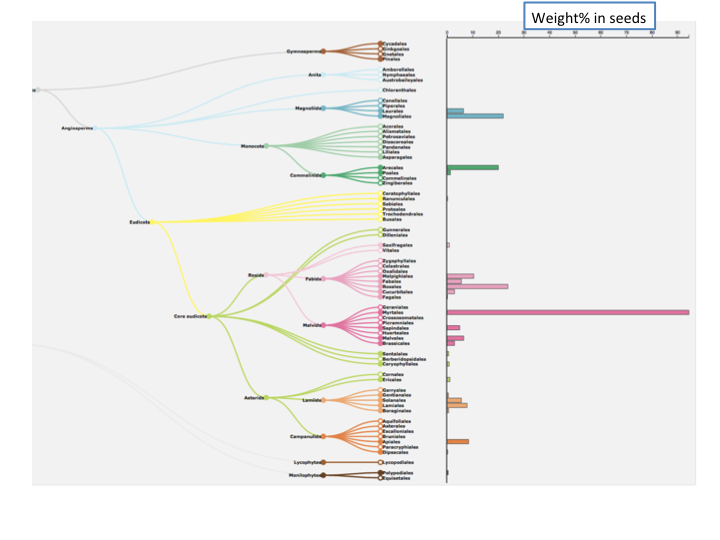 The initial Tree page http://plantfadb.org/tree presents the number of FA composition datapoints that are associated with ALL publications in PlantFAdb. Click on a node to move to Family, Genus and species. The occurrence of a fatty acid structure in different plant species is displayed on a phylogenetic tree. 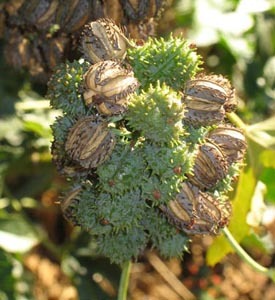 The abundance (e.g. wt %) is indicated on the axis. Fatty acid compositions and other acyl lipid parameters for each plant species have been compiled from multiple publications on a single page in graphical form. 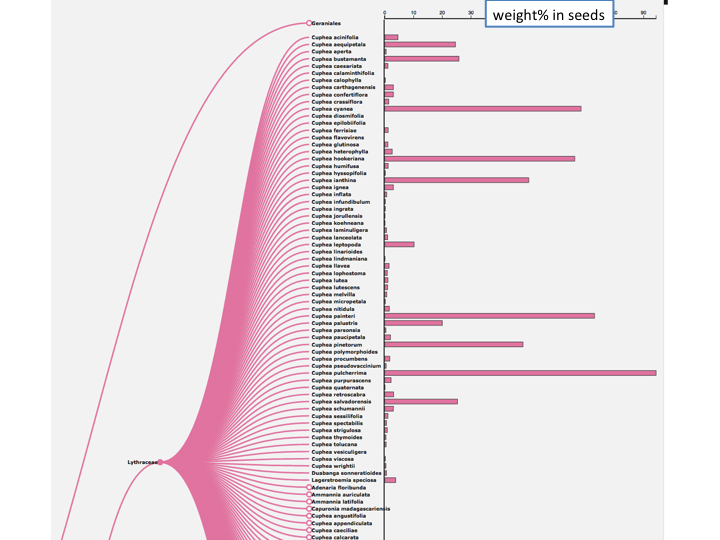 PlantFAdb (previously PhyloFAdb) provides updates and enhancements to the Seed Oil Fatty Acid (SOFA) database at the Max Rubner-Institute (http://sofa.mri.bund.de/).